Experience the individual ways we see the world through distinctive images created by accomplished and professional photographers at WorldTour Exhibitions. Greg Lawson, who is an all-format, film and digital photographer, has been creating images since age fourteen when his mother introduced him to the art-form on the streets of New York City. His images, produced in all camera formats, are found in collections around the globe. As an author he has been to the printing press more than fifty times; as a global photographic artist has been published thousands of times; as a gallery entrepreneur has operated eight galleries featuring photographic art. Visit World Tour Exhibitions' October 20-28 show at 7077 East Main Street in Scottsdale's historic Old Town Arts District. Meet participating artists during the exhibition and at the Meet-and-Greet artist receptions taking place during America's original artwalk held in Scottsdale, Arizona. 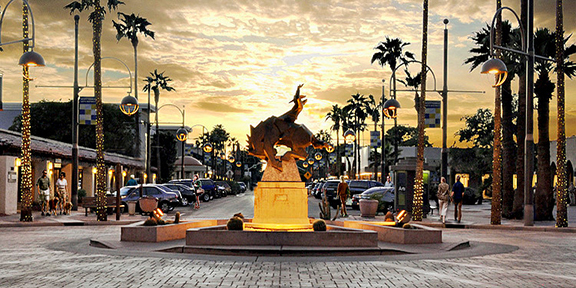 Every Thursday night the Scottsdale ArtWalks take place from 7:00 to 9:00 pm and on October 20 and 27 the WorldTour exhibition is part of the Old Town event. These opportunities give visitors and patrons time to meet various photographers, hear some 'behind the camera' experiences and even have their images signed. Fred Hood alongside his image "Sunrise at Mont Saint-Michel"
Fred Hood is a WorldTour artist who will be available to meet Tuesday October 25 from 2:00 to 5:00 pm. 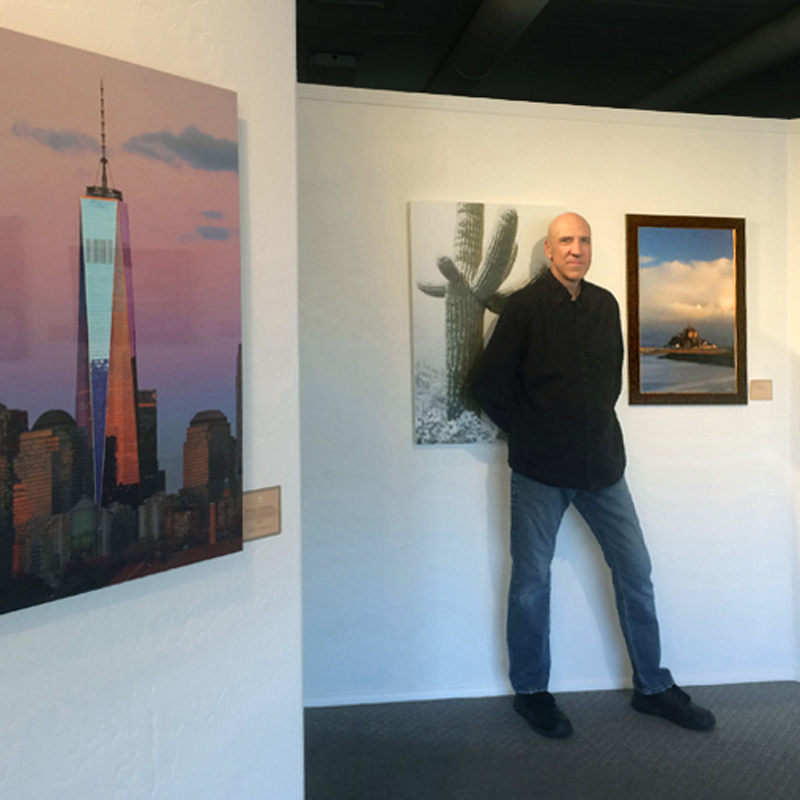 "My interest in photography began in Los Angeles in the mid 1980's and grew when I moved to Tucson in 1993. My main focus for many years was desert landscapes and wildlife, especially zoo animals (with an emphasis on wild cats). My images have appeared in a variety of publications ranging from Tucson Visitor's Guide to Journal of the Feline Conservation Federation. In 2014 I self published my first book: Zoos of the Southwest. With this project behind me, I find my photographic interests leaning more towards architecture, especially European. I have made four trips to western Europe over the last decade and hope to make many more." Mary Ratner will be available to meet Thursday, October 20 from 7:00 pm to 9:00 pm and Friday, October 21 from 10:00 am to 12:00 noon. "I have owned a camera, and traveled with it, for as long as I can remember," says Mary. "The time spent in India and Africa has shaped both my World View and my Work. Following Wildlife founded my appreciation for light and movement. Capturing Architecture taught me to see shape as an expression of love as well as function. My Work is always an attempt to capture the moment, but in the end, ~ it’s all about the Light." Grazina Wade is an award winning landscape photographer who is best known for her images of nature. She has produced more than 20 landscape portfolios over the last three decades. Her work ranges from documenting the New England landscape to her latest photography project chronicling the stark and colorful magnificence of the southwest. For most of her career, Grazina has covered topics related to nature. Her work has been in gallery exhibitions in Arizona, Boston, Connecticut, New York, Chicago, and Lithuania. Jim Twedt has a never ending passion for reflections, shadows, and capturing the "you had to be there" shot. His works convey images that others have perhaps taken for granted as they walked by too quickly to notice. Jim's wish to his viewers is that his work inspires all to stop and enjoy the incredible beauty that is around them. Rita J. Noe says her images are intended to evoke a human feeling, rather than be an attempt to recreate reality. Her fascination with all of creation, from the minutest detail to the broadest expanse, lends her a distinct perspective. She has taught college level courses in Art Appreciation, Art History, and Photography in addition to starting her own graphic design and communications business. Rita is grateful to have been given an insatiable appetite for discovering the beauty that surrounds her, as well as the ability to express that beauty in visual form as it is “what sets my soul free”. Rita has traveled extensively in order to explore and discover beauty all around the world. The sights she has seen and the places she has visited are the focus in her photography. WorldTour Exhibitions in Scottsdale is also pleased to share work by Greg Griffin who will be available to meet Thursdays October 20 and 27 from 7:00 pm to 9:00 pm., David W. Schafer who will be at Thursday October 27's meet-and greet from 7:00 to 9:00 pm, Judy Lovelett, Rolf Maeder, Jim Nedved, Stephen Sharp, Victor Van Keuren and Mark Zyga, among others. The Scottsdale WorldTour exhibition will support the Southwest Wildlife Conservation Center. The Center rescues, rehabilitates and releases injured, displaced and orphaned wildlife. Once healthy, many of the animals in their care are released back into the wild. Animals that cannot return to the wild have a home for life. Greg Lawson’s WorldTour exhibition of photography arrives at Lake Las Vegas during their "Summer of Celebration"
Come by and visit WorldTour Exhibition's special limited-time event at beautiful MonteLago Village at Lake Las Vegas. The exhibition runs August 12-25 and will be open daily from 12:00 pm to 8:00 pm. A gallery reception takes place Saturday, August 13, from 5:00 to 8:00 pm where some of the artists will be available to meet and share their 'behind the camera' experiences to visitors. Featured artists from the United States and Europe include Russ Glindmeier, JK Lovelett, Mary Ratner, Kristina Gabrielle, Greg Lawson, Erick Hale, Stephen Sharp, David W. Schafer and Victor Van Keuren. Several artists featured in this WorldTour exhibition at Lake Las Vegas found a love of photography that started developing at an early age. Glindmeier enjoys experimenting with composition and exposure, while having the freedom to process his own images, ultimately bringing his vision to life. World Tour photographer Mary Ratner has traveled with a camera for as long as she can remember. Self-taught at nineteen she did her learning “on the go” while later discovering workshops and participating annually in The Rocky Mountain School, Santa Fe Institute, and LEPP (George) now Light Photography Studios – to name a few. 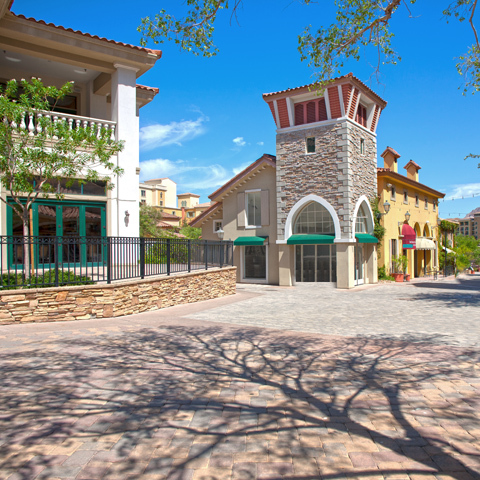 Inspired by the beauty of centuries-old Mediterranean villages, MonteLago Village is a pedestrian-only experience where streets curve to plazas lined with lakeside restaurants, quaint outdoor cafes, a new grocery story and specialty market, and a collection of businesses with residences on the floors above evoking a classic European community. The 55,000-square-foot village is part of the Lake Las Vegas residential, golf and resort destination and borders the 320-acre lake. 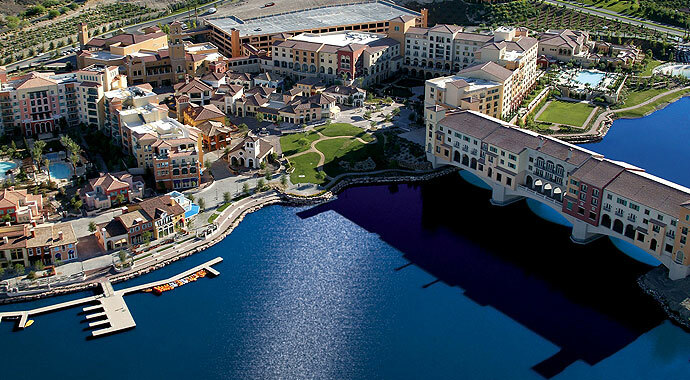 It is adjacent to the Hilton Lake Las Vegas Resort & Spa, the Aston MonteLago Village Resort and the nearby Westin Lake Las Vegas Resort and Spa. Lake Las Vegas Marina, tucked along the water’s edge of the village, offers rentals of canopied electric boats, gondolas, kayaks, peddle boats, the Flyboard Las Vegas Experience and the newest addition of stand-up paddleboards to transport guests and residents between the Westin and village. WorldTour Exhibitions produced by Greg Lawson Galleries is one of a variety of events that are held throughout the year.